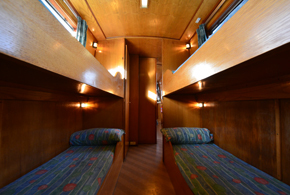 Four bunks in the rear cabin, a fixed double in the centre and saloon seating converting to a second double. 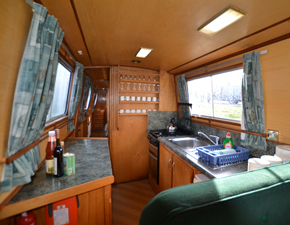 Full bathroom with shower, plus second toilet and wash basin. 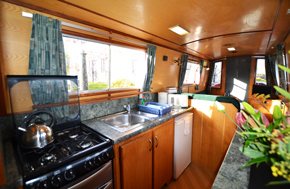 Fully equipped galley with cooker/oven and fridge. Radio/CD player and colour TV. 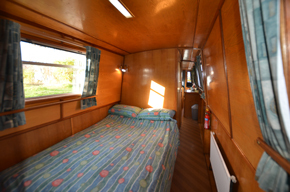 All pillows, duvets and bed linen supplied. Shower has high pressure shower unit and there are china, fresh-water flush toilets.